OL4 The English Lakes – North Western Area. 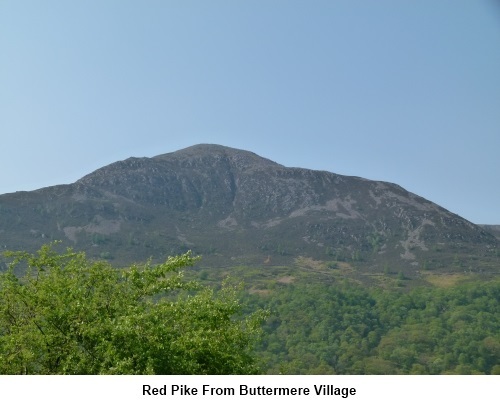 Introduction: This walk involves a very steep ascent up a scree gully on to aptly named Red Pike and an equally steep descent from Seat to Scarth Gap Pass. 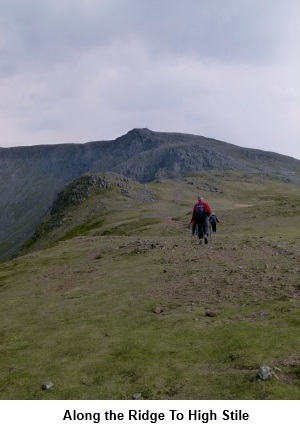 It is however a great ridge walk with contrasting views from the almost unreasonable prettiness of the Buttermere Valley to the north east and the rugged Scafell Range to the south east and a great profile of Pillar. 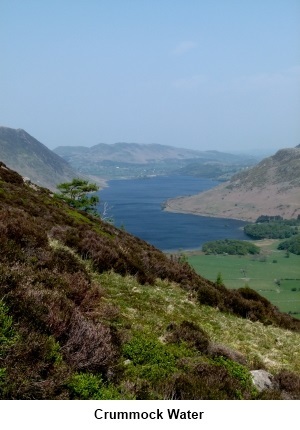 There are also views down the usually deserted Ennerdale Valley. 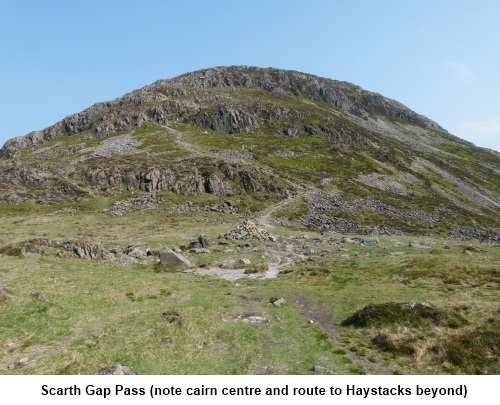 Depending on your fitness and enthusiasm, the walk could easily be lengthened to include Haystacks but after the ascent and descents mentioned above this might be a climb too far! 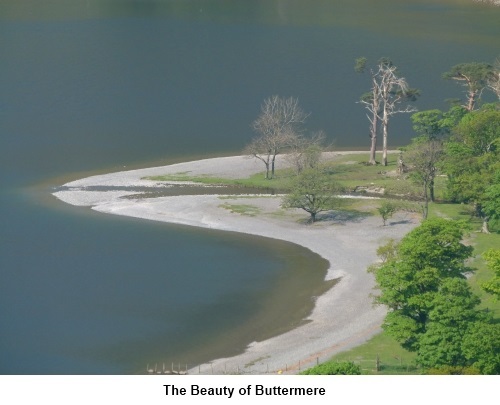 Start: The walk starts from the car park at Buttermere village (NY 173169) where you will need plenty of change to meet the cost! There are toilets here too. Walk back down the car park road and turn right in front of the Fish Hotel and follow the sign for Buttermere Lake down a broad track. Where this forks, take the left fork. At the lake, turn right and follow the line of the lakeshore towards the trees. As you get to the corner of the lake, cross over the stream on the little bridge and take the attractive route through the trees on the steep stone stepped path (NY 173163). As you exit the trees stay on the obvious main path and you will arrive at the gorgeous setting of Bleaberry Tarn (NY 167155) with Red Pike rising above. The path to the summit is clear and it is obvious how the mountain got its name. 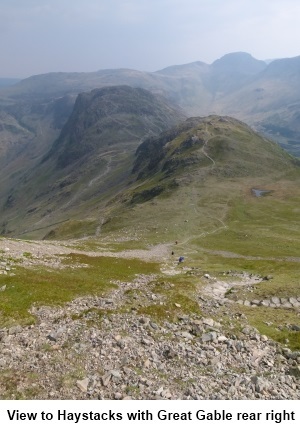 Take the path up Red Pike. As you approach the higher part, the path becomes ever steeper and loose shale makes for frustrating walking. Eventually, you struggle up a narrow gully to achieve the summit (NY 161155). 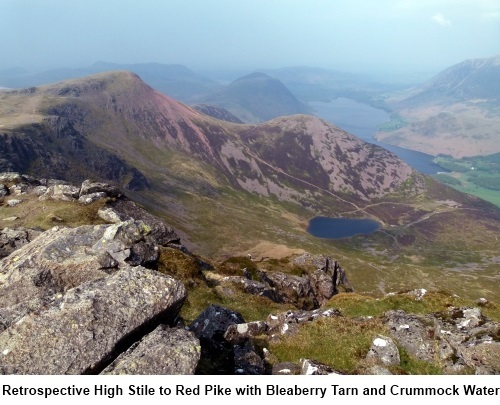 The summit itself is unremarkable having little to mark it other than a crude shelter but the views are terrific of Crummock Water and Ennerdale. The route along the ridge heads south at first before swinging south east to High Stile. 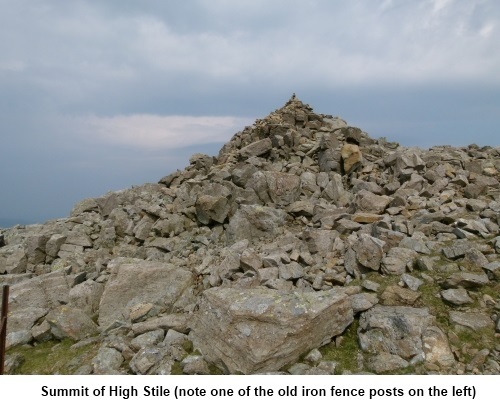 There is a line of old iron fence posts and if you keep to the left of these, you will arrive at High Stile. 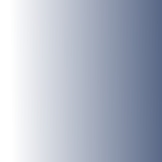 However, do not keep them to your right beyond High Stile or you will meet a sticky end! Some are close to the precipices! There are some craggy outcrops between Red Pike and High Stile which can provide a sheltered spot for lunch, depending on wind direction. High Stile is marked by a large stone cairn (NY 171149). The view from here along the ridge back to Red Pike is dramatic. From the cairn, backtrack a few yards then turn left and follow the ridge along to High Crag (NY 180141) and Seat (NY 186134). Stone cairns indicate the way. There now begins an extremely steep descent to Scarth Gap Pass. 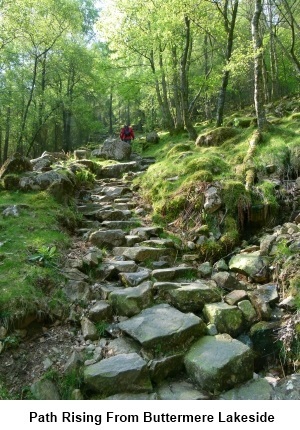 It is loose shale underfoot for a time and then the path becomes “manicured” with stone steps having been laid. At the bottom, a large stone cairn marks the pass (NY 189133). Straight ahead is the mass of Haystacks but I decided to save this for another day. 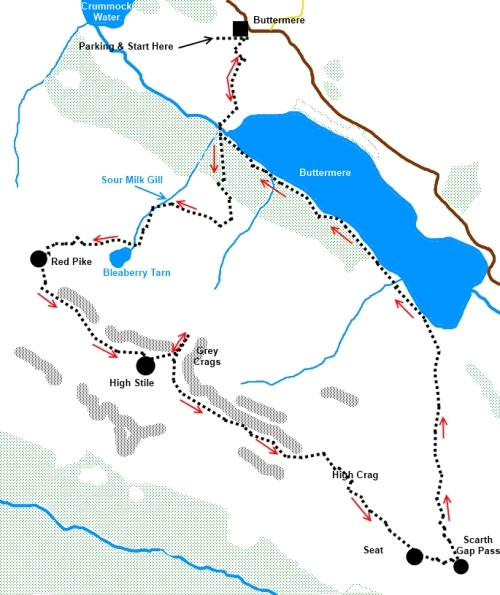 Turn left at the Scarth Gap Pass Cairn and follow the obvious path down to the lakeshore. Turn left at the lake and follow the shore back to Buttermere. This last mile or so alongside beautiful Buttermere lake is a welcome relief.